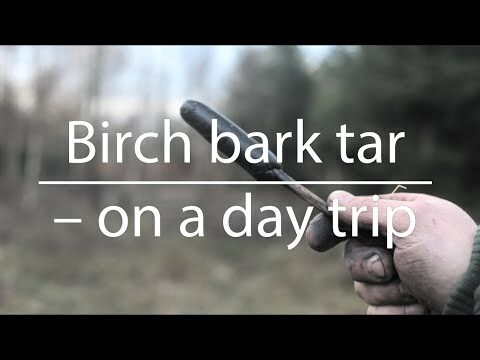 Unlike pine and spruce pitch glue, the birch bark tar needs no mixture with coal and fibres. And no animal fat to be flexible. Protection from bacterial and fungal infections. It's flammable and can be used as a candle or lamp oil. It's waterproof, and can be used as for example, sealing a birch bark canoe. To make tar; boil the oil, let it cool for awhile to see the consistence, if it is too hot, it will be thin. If you let it boil for too long, it will become carbon. Please only use bark from dead trees.